Perusing Sunshine Plaza on a casual walk-through, one might conclude it’s doing it tough. There are a lot of premises without tenants. The supermarket has become a Dimmeys. And the deli next door has closed. 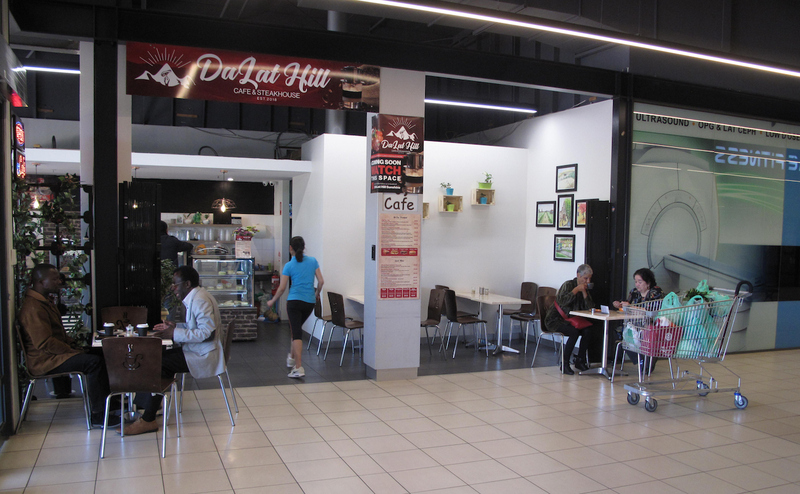 There still exists here a community vibe of the sort that struggles to gain a foothold at the bigger shopping centre across the road and others of its kind. The tables and chairs outside the aforementioned deli, for instance, seem to remain a friendly gathering place. And Sunshine Plaza management continue to fight the good fight with regular FB updates on centre affairs. Another crew that’s injecting life at the plaza is the one behind DaLat Hill Sunshine, which occupies one of the premises fronting Hampshire Road. Despite its Vietnamese name, there’s no rice paper rolls or pho here. 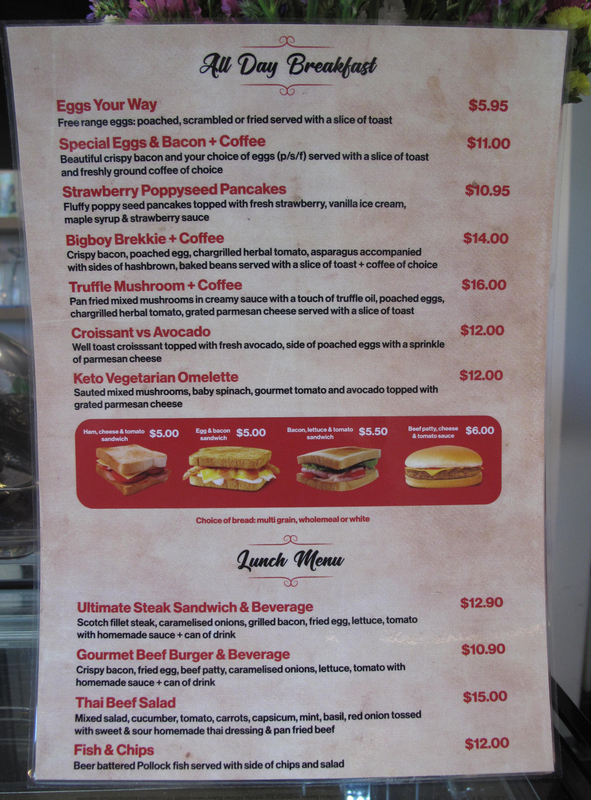 Instead, they are going their own sweet way, developing a niche based around steak, along with regular cafe fare (see menu below). 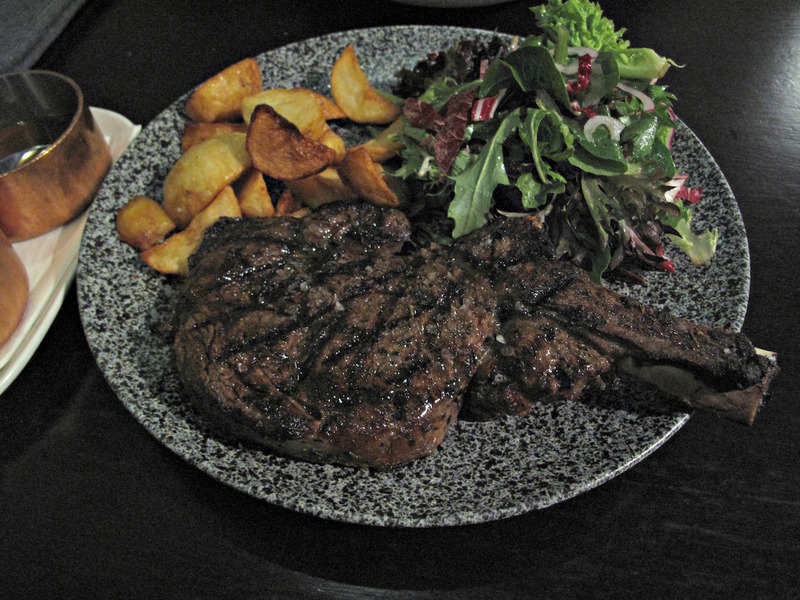 Here you can get T-bone, ribeye, scotch fillet and the like at fair prices. 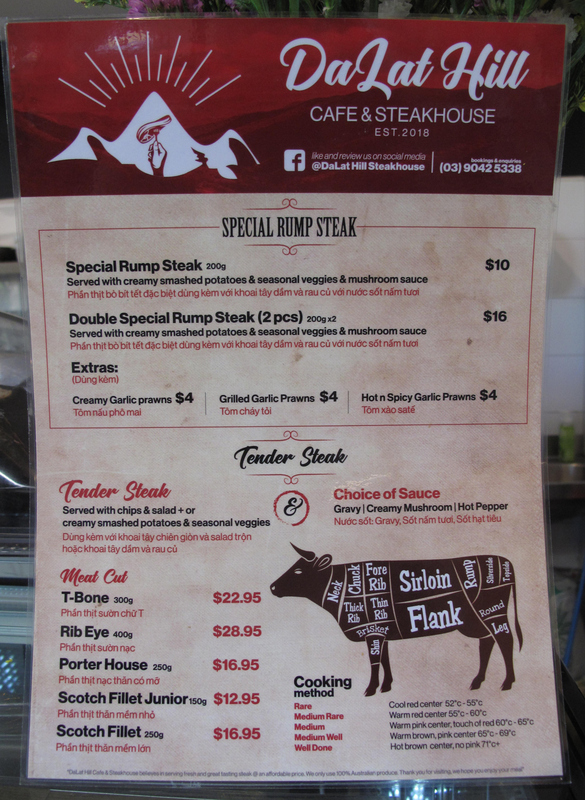 But the place’s big drawcard, one designed to get new customers through the door yet also remain an always available “special”, is the Special Rump Steak for $10. We are a little surprised to be asked how we want our meat cooked, as we figure the $10 steak will be of the ultra-thin variety sometimes served as part of Vietnamese steak-and-eggs and for which precise cooking instructions are pretty much irrelevant. So … medium rare for us both. 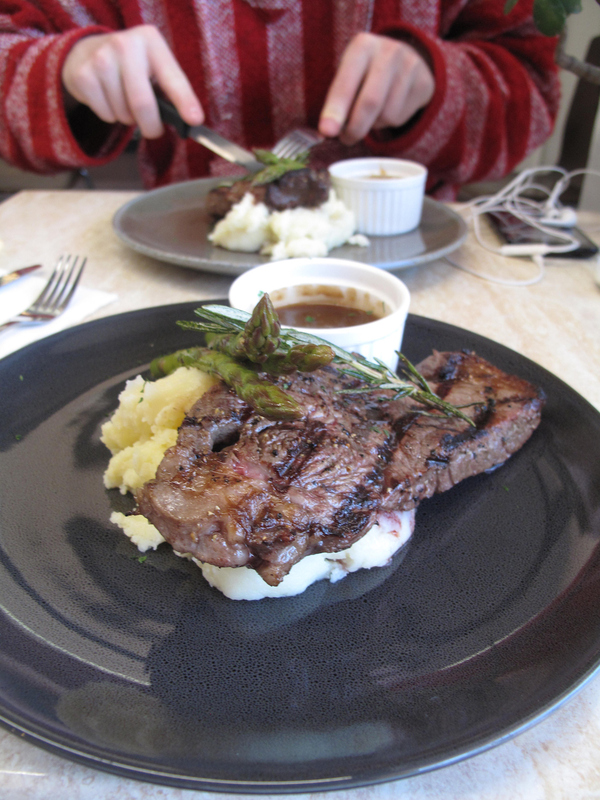 How good can a $10 steak be? The answer, at DaLat Hill Sunshine, is … just fine. 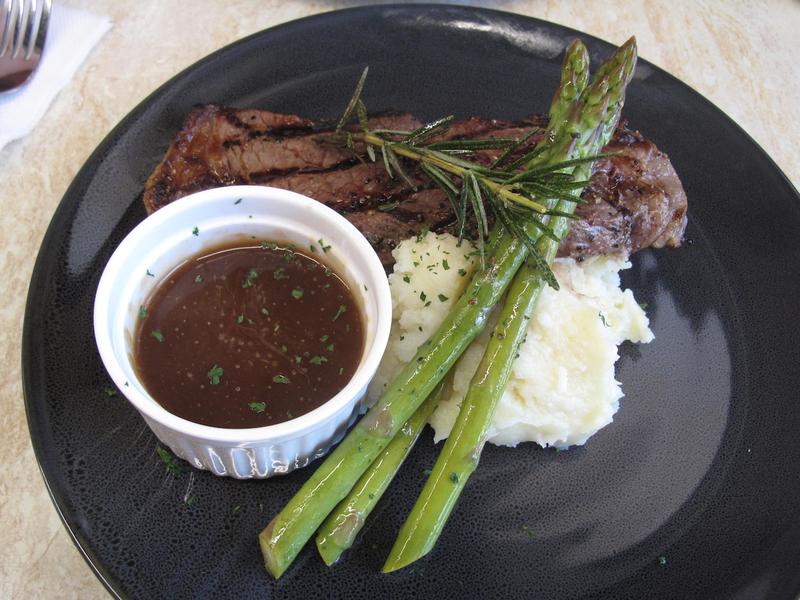 Sure, you’ll not be chowing down here on prime, big-bucks beef, but our steaks are enjoyable nonetheless. And they’re nicely sized for our Saturday lunch, steak not normally being something we would otherwise ever consider ordering for anything other than an evening meal. And then, only very rarely. But what makes our meals more than just adequately satisfying – and propels them into realms of bargain pleasure – is the care taken with the accompaniments and the presentation. The mashed potato is very, very good. The asparagus spears are both cooked through and crisp. The thin gravy is fine for meat dipping. And even the rosemary garnish does its part by imbuing all with a just the right amount of perfume. The service is fine and smiling – as are the Vietnamese iced coffees with which we depart. These days, there are a handful of inner-west pubs that appear to aspire to offering very good pub tucker or fare beyond that. 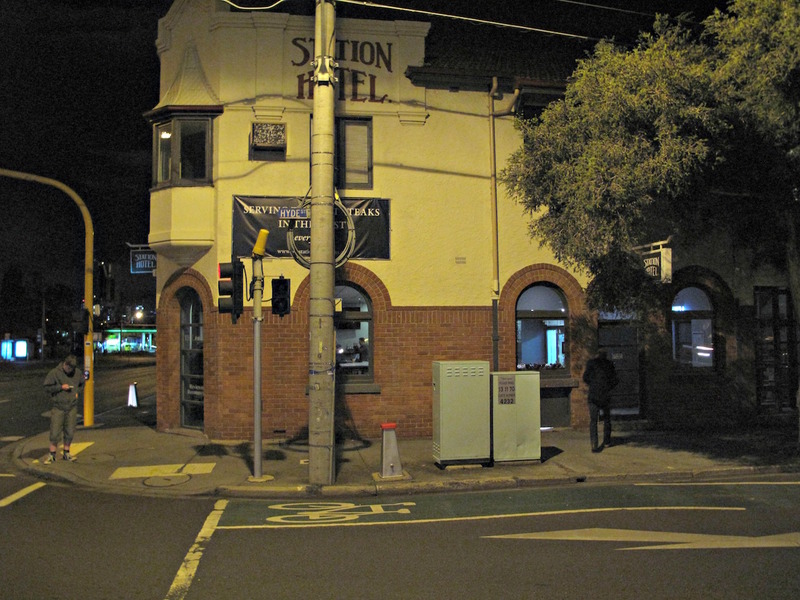 But in some ways, the Station Hotel is the grand old dame of that scene. It’s been around a goodly while, has had at least one management change of which I’m aware and – more recently – experienced a fire that closed the joint down for a few months. 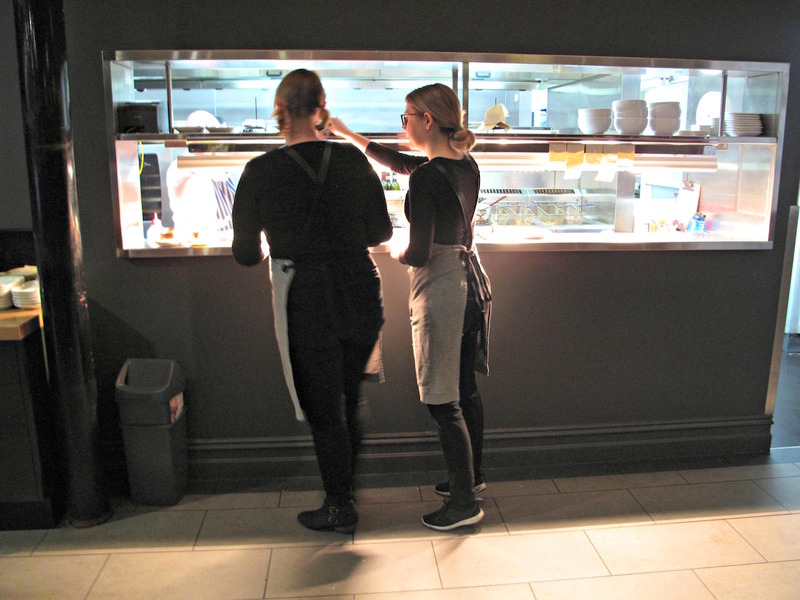 We enjoy a lovely Tuesday night there, with good service and a happy atmosphere in the mostly full dining room and more raucous goings on in the bar. We like it very much that the Station aims high but stays a pub. It’s a birthday night at CTS HQ, so there’s a sense recklessness in the air – this is one of the very, very rare times in which “cheap eats” does not join “melbourne” and “western suburbs” as an automatic tag for a story. 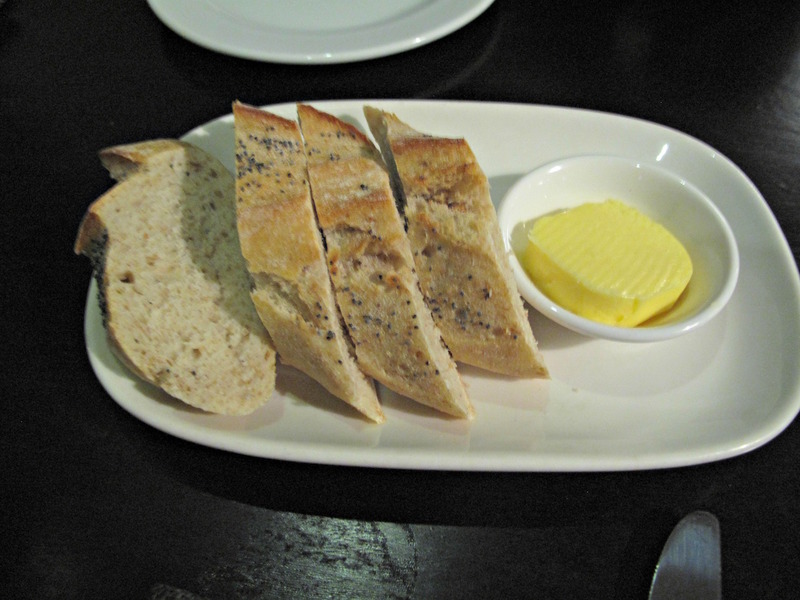 Good bread and room-temperature butter are complementary; this is mostly for Bennie’s sake – given the weight of food we plan on enjoying, I leave it alone. 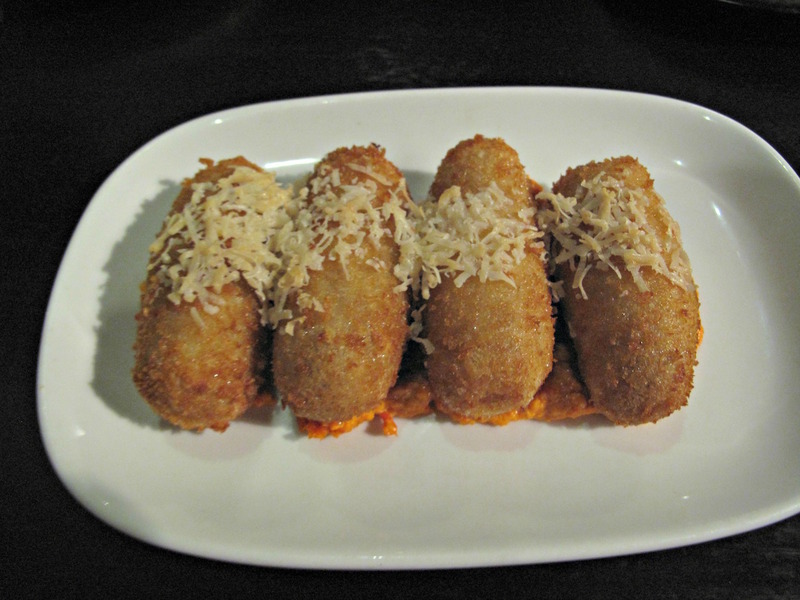 We love cauliflower so have no hesitation in ordering the cauliflower croquettes with romesco sauce ($14). They are expertly cooked, ungreasy and chockers with gooey rich goodness. But they are largely tasteless and certainly bereft of cauliflower flavour, according to both of us. Much more impressive – and tasty – is the tuna tataki with “miso mayonnaise” and pickled cucumber ($19). Every mouthful is a zingy, ever-lovin’ jumble of top-notch contrasts. The mayo is confusing, though, as we taste not miso but do detect a nice wasabi tang. One of us was always going to order steak – and that turns to be, well, me. That order being in the form of this knock-out “rib eye, 500g Great Southern, (Vic) British breeds” ($55), cooked medium rare. Now look, as is no doubt obvious from the now many years of CTS, we are not really steak men. So this proclamation by both of us may not be based on much. The meat is quite heavily seasoned and is quite salty, but that’s fine by both me and he, who also gets quite a good go at it. The spuds and salad are fine, but are largely superfluous to the carnivore carnival – as are the pepper and bearnaise sauces on hand. By comparison, Bennie’s pan-fried pork fillet with apple and apricot stuffing on pearl barley and peas with cider jus ($35) is rather demure. He enjoys it plenty, however, and the meat is superbly moist and tender. He’s less impressed with the barley base, which seems like a touch of brilliant to his father. “Tastes of chocolate and caramel” ($14) is perhaps a tad too fiddly for the likes us apple pie guys, but we enjoy it anyway. Underneath that dome of “chocolate mirror glaze” is a globe of caramel parfait – not quite ice-cream, not quite cake, all wonderful. 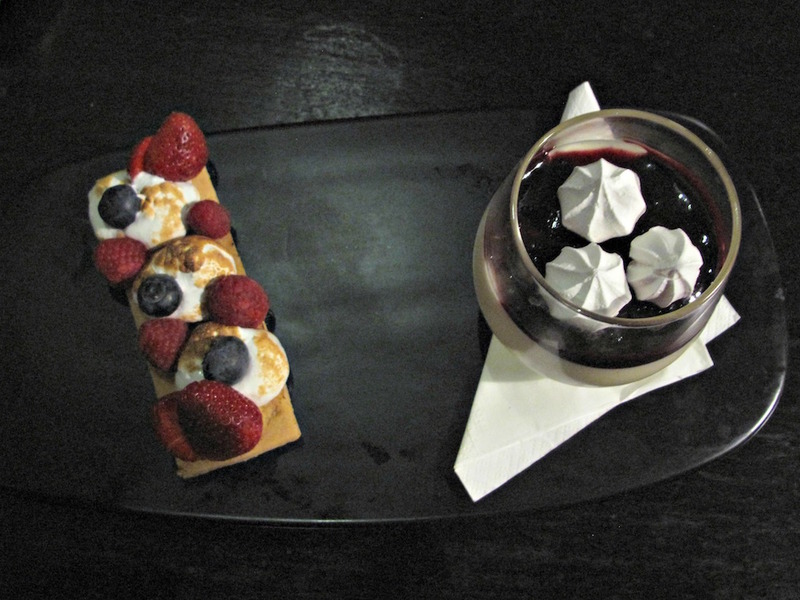 More appropriate for us is the luscious vanilla panna cotta with a berry and meringue topping and a fresh berry and cream shortbread off to the side. This being a once-a-year kind of splash-up meal for CTS, we order cafe lattes to be enjoyed with our desserts even though it’s a mid-week evening. The barista’s first go is deemed unworthy, with the second attempt missing our long-completed desserts by quite some margin. They’re good, though, and we are not charged for them. It’s been a fine night, a special night for the CTS lads. 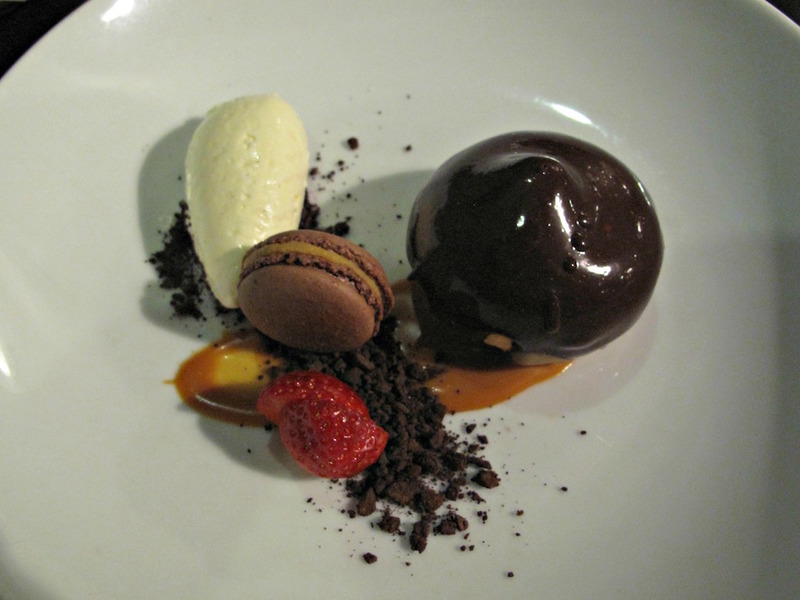 Check out the Station Hotel website – including menu – here.